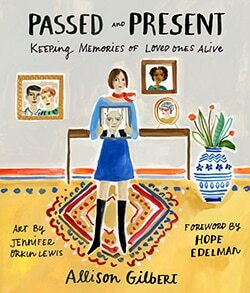 In this episode of the Mindfulness & Grief Podcast, Allison Gilbert, Emmy award-winning journalist and author of Passed and Present: Keeping Memories of Loved Ones Alive, shares with us fun and inspiring ways to weave the stories and memories of our special people into our daily lives. Learn more about Allison and subscribe to her newsletter at http://allisongilbert.com. When it comes to keeping the memory of our loved ones alive, that work is up to us. Grief is not about forgetting, but remembering. You may have encountered well-meaning but ill-informed friends and family who won’t speak your loved ones name because they are afraid of reminding you of the loss. What they don’t realize is you never forget someone you love. Nor would you want to. In this episode of the Mindfulness & Grief Podcast, Allison Gilbert, Emmy award-winning journalist and author of Passed and Present: Keeping Memories of Loved Ones Alive, shares with us fun and inspiring ways to weave the stories and memories of our special people into our daily lives. She also shares the importance of being active in your own grief work, acknowledging that while we benefit from being passive recipients of support, as we move through the days, months, and years after loss, we need to be our own best friend.